Hello my lovelies! I hope you had a great weekend. I spend the bulk of my past two weekend prepping for a move that took my family pretty far from our homebase of San Francisco to a more family friendly suburbs. But that still didn’t stop me from learning about how Victoria’s Secret is jumping on the nail art frenzy that carried from 2012 over to 2013. 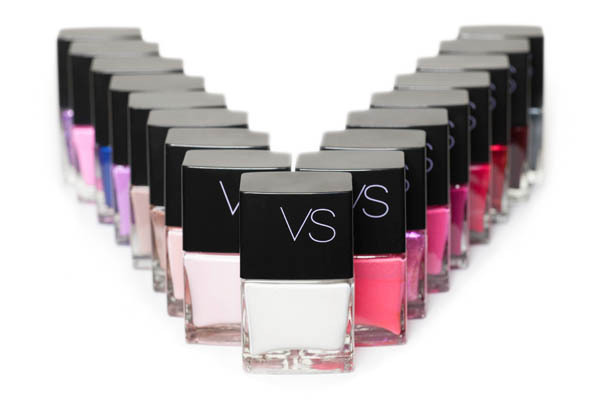 They are planning to launch a line of premium nail polishes that is sure to have any fashionista satisfied. Since this is not the same polish as Inglot, my Muslim chicas will have to wait till their monthly friend or any other life circumstances that excuses them from prayer. But still! Pretty cute polishes overall. They retail for $10 a piece so check them out next time you are in the store this month.